Welcome to this HR Blast from Jaluch about flexibility in the workplace. 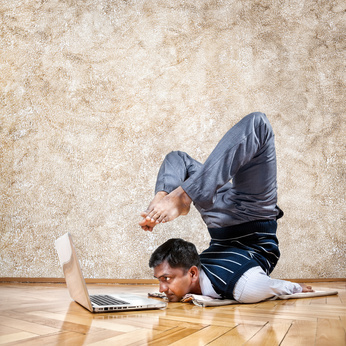 Are you waking up to the demands to be a more flexible employer? Does the standard 9-5pm routine even work anymore? Is flexible working embedded in your business? If not, what are going to do about it to ensure your reputation and employer brand doesn’t suffer in this sardine tight labour market? These are all important questions employers should be asking themselves as HR Review claim, ‘Flexible Working is no longer a perk but a necessity’. Furthermore, emerging evidence suggests that flexible working practices can have a huge positive effect, not only on productivity and the bottom line but increasingly has become an important contributing factor to the ‘Employee Value Proposition’ (EVP), a fashionable HR buzz term for attracting and retaining top talent! Let’s explore developing flexible working trends and identify some of the more innovative ways to be a flexible employer that doesn’t necessarily mean the standard flexible working practices, such as part-time working, which historically was given to parents and carers. In a recent CIPD report, it was noted that 44% of employers experienced greater difficulty with recruitment in 2018 and another 34% faced a similar challenge in retaining staff. This inevitably will continue to be a concern for businesses who have a skills shortage and will need to look at innovative ways to attract top talent. Do you value your people? Despite what our tech giants tell us, it’s not Artificial Intelligence that makes us successful, it’s still the people we employ who can make or break our businesses. Creating a culture staff value is critical to recruiting and retaining those great staff and flexibility is at the core of this. What has been clear across the last ten years or so is that staff are increasingly looking for more than just a job title. Yes, they want a career where the pay and benefits are attractive but just as importantly, they are looking for the right cultural fit, to find a place where they belong, where business values align with their own and a work life that can complement their home life. Ignore this trend at your peril, would be the advice we at Jaluch give you today! According to the 2019 Global Talent Trends Report produced by Linkedin, which surveyed 5,100 global talent professionals, 75% of UK professionals say that offering flexible working will be ‘very’ or ‘extremely’ important in the future, with 84% recognising it helps employees have a better work life balance and 72% agreeing it makes their workforce happier. Jaluch delivered workshops in 2012 on what employment would look like in 2020. A sardine tight employment market was predicted. Employers who took heed of this information put in place good retention practices, including changing work patterns to 4 day working week and setting up remote working practices. Other employers are still playing catch up. Which one applies to your business? Has lack of flexible working lost you talent in the past? We are seeing an upward trend of the ‘four day week’ being introduced in UK businesses, with huge benefits to productivity and employee motivation being reported. Pursuit Marketing in Glasgow, switched 120 employees to a four-day working week and claims the change has been instrumental in a 30% increase in productivity and Perpetual Guardian reported a 20% increase in productivity after giving 240 staff an extra day off each week. The Wellcome Trust became the biggest UK employer to join the trend in January switching 800 staff to a three-day weekend. Clearly not the right option for many organisations given service requirements and many organisations already have great productivity levels but this might be right for a few of you. One of Jaluch’s longstanding clients closes half an hour early every Friday and provides drinks and nibbles as a way to thank the team for their hard work that week and to encourage social interaction with colleagues. What a lovely, simple gesture that doesn’t have a huge impact on productivity but goes a long way to boost morale and team bonding! Granted, an early finish isn’t something all employers can accommodate all of the time but what about identifying certain times in the year that staff would benefit from this i.e. early finish on a Friday during the month of August when the sun is out and the days are longer? KPMG offers something along these lines to staff and it’s a valued benefit. This could well be a simple, inexpensive perk that has little impact on the business but something that your staff will appreciate! We are seeing the upward trend of ‘remote working’ as a result of greater mobility and flexibility than ever before. HR Recruit cited a huge increase of 115% in remote working over the past decade. Remote working might be just one shift or day per week or it could be full time with very limited working on site. In our experience occasional remote or home working seems to be a better option than full home working given how much people value social interaction with colleagues and generally need this to feel included and motivated. Clearly location doesn’t have to be a barrier anymore, thanks to advancements in technology. By providing easy access to information and documentation through the cloud, it is now more than ever straight forward for staff to work anywhere in the world. But why are so few employers implementing remote/home working? You might also be aware that a few big names have recently been curtailing the remote working schemes they had in place with one citing a need for greater social interaction between staff. then remote working can actually make a huge difference not only to existing staff but can be the reason why some people can work or not i.e. provides opportunities to those with disabilities, care givers and stay at home parents who wouldn’t ordinarily be able to work outside the home. One of the most obvious options for providing flexibility is in offering the hours, days, shifts that each employee wants to work and then regularly reviewing that with them with a view to increasing, decreasing or changing the working pattern. Whilst some value an early finish or late start, others value cramming weekly hours into fewer days, some want a day off each week to study, others manage their family by just working 3 days a week, some want school holidays off, others want Fridays off as that is their gym or pampering day. Every single person is different and has different needs. It has amazed a few interviewees at Jaluch when we have asked them what their ideal working pattern is. They are stunned that working life has progressed so far in some organisations that not only is part time working an option, but that we are prepared to see if we can provide them with their ideal set up. You could try it too once you get your head around the value to the business versus the time it takes to personalise work in this way. Unlimited paid holiday is a trend that originates from the US as a means to attract and retain employees. UK business Gradtouch provided staff with unlimited holiday as a drive to have a truly flexible working policy. They say they have seen increased productivity, people progressing more quickly than they typically would because everyone has so much more trust and responsibility and because people buy into the goals because they have the flexibility. But are there drawbacks? We can think of a few contractual challenges and of course, not every employee chooses to act responsibly in the workplace! We have also come across a business that offers unlimited maternity leave, but again, tread with caution as there can be some contractual challenges to ensure you protect the business whilst offering such a benefit. Forbes recently reported they have seen a shift in flexible dress codes, with Goldman Sachs relaxing the dress attire for employees. Their aim was to move with the times to create a more casual environment with the emphasis on dressing in a manner appropriate for the workplace and consistent with client expectations. KPMG has a new code, recently introduced, that advises staff to Dress for the Work ie dress according to what you are doing in the day and where you are going to be. Seems sensible and flexible! By placing the trust on employees to exercise their own judgement on what is appropriate to wear to work, these companies are empowering employees and giving them more autonomy. Ok so sabbaticals have been around for a while (3, 6 or 12 months typically) but to what extent does your business support these breaks? Especially when sabbaticals can be a way of retaining staff and encouraging them to remain loyal to the Company. Sabbaticals offer burnt out, exhausted employees with an opportunity to be rewarded for their hard work by offering an unpaid extended break to relax and rejuvenate. Great for those who work long and hard but have a bit of a wander lust that needs to be satisfied. Be careful though that you don’t demotivate great employees by picking and choosing who gets to have a sabbatical or by suddenly withdrawing the benefit because resources are tight. Increased productivity – Vodafone conducted a global survey in 2016 about flexible working, which revealed increased company profits and 83% improved productivity. Improved employee morale – providing employees with more autonomy and independence empowers and fulfils employees. They are then motivated to deliver a better quality of work. Enhanced employer reputation – by being seen as a family friendly place of work. This in turn helps with attracting better quality candidates during recruitment process. Improved employee wellbeing – flexible working can reduce the amount of time taken off work for appointments and can reduce the number of sickness absence days. It can also provide a way to accommodate individual energy cycles, encouraging employees to identify the optimum working hours based on their body rhythms. If your employees know they perform better in the morning, like early birds or later in the day, like night owls, accommodating different shift patterns can get the most out of performance levels. Environmental benefits – Offering remote/home working has a direct benefit with reduction in cost, time and pollution as a result of employees no longer commuting to work during rush hour. Sceptical Leaders – According to Natural HR, the main challenge will be to convince leaders with long-held beliefs that flexible working will lead to employees exploiting their new-found freedom, resulting in a drop-in productivity. If productivity is a priority for leaders, the reality is that the focus should be on outcomes and not the hours worked, but there are still employers out there that rate performance on how present an employee is sat at their office desk. Loneliness – According to Forbes, the biggest reported struggle of remote work is a lack of community. They report that 21% of remote workers named loneliness as one of the main issues. To address this, companies are now encouraging remote members to come back to the office at least once per week and recognise that it is important to strike the right balance between home working and office working. Breach of Working Time Regulations – We talked about the benefits of unlimited holiday but there have been drawbacks with the introduction of unlimited holiday proving a challenge for CharlieHR when their employees do not take enough holiday. Not only does this pose questions around breaches to working time regulations but it can cause anxiety in staff not knowing the limit. We are creatures of habit and routine, we like boundaries so it’s understandable the flexibility of unlimited holiday needs further exploration. Want to take this forward? What can we at Jaluch do to support? Rolling out a health and wellbeing training course for your staff to complement the work you are doing to support with mental and physical health of your staff. Between us at Jaluch we have over 100 years of HR experience, we deliver bespoke HR advice to over 300 clients in the UK and are proud to have won a plethora of awards. We would be delighted to support you so please do get in touch.